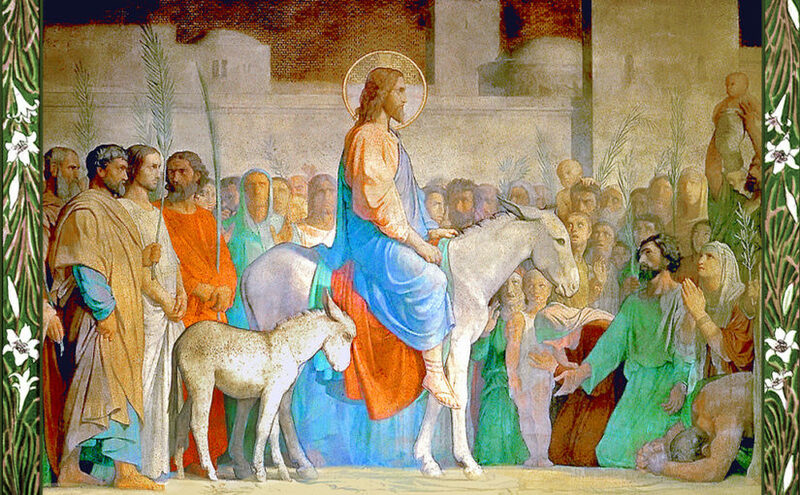 Don’t you love the story about Jesus riding into town on the donkey, being praised and worshiped? See Mark 11:1-11 for the full story. I remember it from childhood and our kids have heard it many times in Sunday school. There were people praising him for who he is, publicly acknowledging Jesus as he fulfills Old Testament prophecy from Zechariah 9:9. Today I’m reading this story under a different light. Jesus, being God in the flesh knew that this earthly worship and party wasn’t going to last. He knew that in a very short time he would be crucified. Wasn’t this victory ride bittersweet to Jesus? Did he know some of the people who were praising him would betray him and call out for him to be crucified? Did he know they would choose to set free a known vicious criminal, a murderer (Matthew 27:15-23) instead of him? I believe he did. What was on his mind as he rode? It is easy to praise King Jesus, but what about when he doesn’t meet “our” expectations, when obedience isn’t on our terms, when following costs us friendships, social status, jobs, or even our own safety? Even though Jesus knew they as well as us, would betray him he continued on because of his love for us and his commitment to the Father’s plan. This next verse seems really simple on the surface but I ask that you join me on a journey through the eyes of Jesus. He was just celebrated, it is getting late, and he goes into the temple. At this time of day temple attendance was likely sparse. Picture Jesus looking around at everything, saddened over the forthcoming betrayal, and saddened as the temple had become a “den of robbers” (Mark 11:17). Perhaps a last look since he knew what was to come? I’m envisioning this to be something like when a person is saying goodbye to a place or people they love and adore, picking up photo albums and looking at them fondly but yet with concern for their loved ones. Father God, you are above all things. We praise you for who you are; for loving us, for your perfect plan, for being patient, merciful, and forgiving. Like Jesus looked around at everything in the temple, we ask you to look around at everything in our hearts. Please forgive us for the times when we have praised you with our lips but yet our actions are that of betrayal of your son Jesus. Everything your son did, he did for us so that we may have life with you. He lived a perfect life all while knowing he would suffer on the cross as a perfect sacrifice for our sins. Show us where on the outside we seem pure and just, but on the inside we attempt to harbor secret sin; we have no secrets from you God. You know all, you see all. Please help us, please save us. Amen.